During his third year, he decides he isn’t really suited to a silent order. So when he comes before the leader to utter his two words, he admits he hasn’t been very happy these past three years, and that he’s leaving the order. 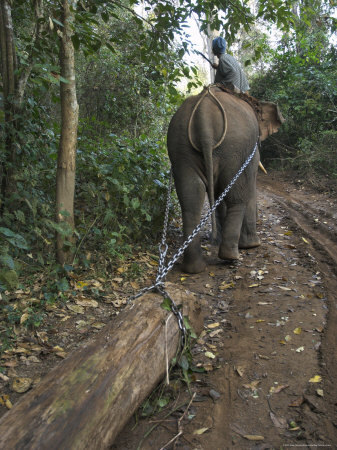 Elephants who work on the streets have poor health and diets. They’re also overworked, cruelly handled and vulnerable to road accidents. They have an expected five-year life span as opposed to the 65-year average. 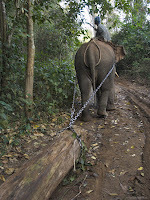 Elephants involved in illegal logging on the Thai-Burmese border live little better in terms of health and treatment. The use of amphetamines to increase their work rates is reportedly rife.